You’ve done the online dating thing. You’ve gone on a hundred blind dates. You’ve stared slack-jawed at that gorgeous stranger in the coffee shop…and couldn’t think of a thing to say. You’ve scoured the Christian dating advice websites. And you’re ready to throw up your hands and be done with romance. Does meeting your soul mate really need to be this hard? 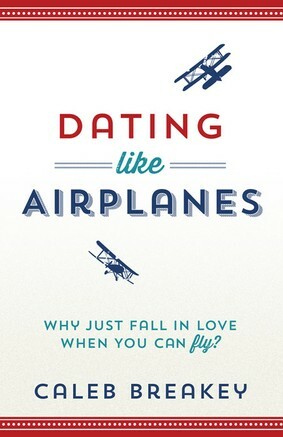 Stop trying to fall in love, says Caleb Breakey, and start learning how to fly! Just like airplanes soar above the clouds, you can have a relationship that rises above the ordinary and doesn’t crash and burn. Caleb, breakout author of Called to Stay, traveled his own rocky road to romance, and he’ll tell you the truth about courtship and dating, finding your soul mate, and what it really means to pursue Christian relationships. Along the way, you’ll discover the greatest romance of all: the love that Christ pours out on you. This is Christian dating advice at its best! I wish I knew then what I knew now. I wish I had been a Christian before I got married, I wish I had learned to fly a long time ago. This book is for the single people out there that are tired of falling and getting hurt, or insecurity and want to be secure in themselves, in their relationships but mostly in Jesus. Honestly I believe married people could get a lot out of this book as well. If you want to know how to have a healthy relationship you need to learn to fly. Basically it means showing Jesus to the one you love and helping them to show Jesus too. Caleb has packed this book full of his own experiences and the experiences of others. I think this book could revolutionize the way people do relationships if they truly lived this out. Even in our friendships. If our goal was to always bring out the best on another person wouldn’t that change everything? Do you need this book? Do you know someone who does? I highly recommend grabbing a copy and then learn how to fly. Grab your copy at your local book store, Amazon, Barnes and Noble, Christianbook.com or Books-A-Million.